There were a few details from the Khabib Nurmagomedov - Conor McGregor press conference announcement that really stuck out. The Khabib Nurmagomedov and Conor McGregor press conference to promote UFC 229 will take place at Radio City Music Hall in New York on Thursday 20 September. Three weeks out from fight night, the two elite lightweights will take to the stage to answer questions. UFC president Dana White will, of course, also be in attendance. The venue makes complete sense. It is only a half hour subway trip from Barclays Center in Brooklyn, a stadium which is better known in MMA circles as the place where the dolly was thrown at the bus. Considering how shamelessly the footage has been shoe-horned into the official UFC 229 promos, it's hardly surprising that they this was chosen as the battleground for the verbal war. Judging by the promos, the dolly is the real star of this show. Anyone who's been to a UFC press conference and a presser featuring Conor McGregor will know that there is one hell of a difference. 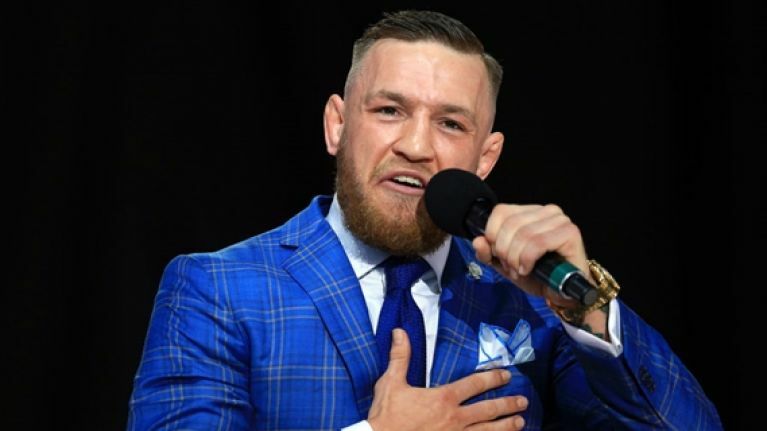 When McGregor is spitting venom from that acerbic tongue in front of an audience, it elevates a simple questions and answers media obligation into something greater. It feels special. McGregor is a charismatic showman. Whether it be doing his stand-up routines in front of the masses on the MayMac world tour, trying to throw a chair at Eddie Alvarez like a pantomime villain while wearing a ridiculous fur coat or simply ruining Jeremy Stephens' day, the presence of an audience gives his antics a unique atmosphere. This will sadly be lacking for the pre-fight UFC 229 press conference. Unfortunately, the event will be closed to the public. Only media members will be able to attend. Again, you can see why the promotion opted to make this a closed event. UFC fans can be a rowdy bunch. There is quite a bit of animosity between these two fighters. So in order to decrease the risk of an incident involving fans prior to fight night, they decided to remove them from the equation. For now. However, this decision appears to play into Nurmagomedov's hands. The Dagestani isn't exactly a dynamo on the mic. While he has been cheered at prior press conferences, he cannot compete with the level of support that McGregor has. So the absence of an audience reaction to McGregor's inevitable burns should suit him down to the ground. The fans, however, will miss out. They will miss out on getting to see the first meeting live. Also, they will miss out on the atmosphere that comes with a McGregor appearance. Especially after such a long absence from the UFC.